The Literary Round Table is the only place online where readers get to interact with their favorite fiction or non-fiction authors and experts in a variety of fields. WE bring your favorite authors to the literary round table for interesting, fun and free-wheeling discussions on a variety of topics, and YOU have the opportunity to interact with them by asking them questions or commenting via Twitter or email! 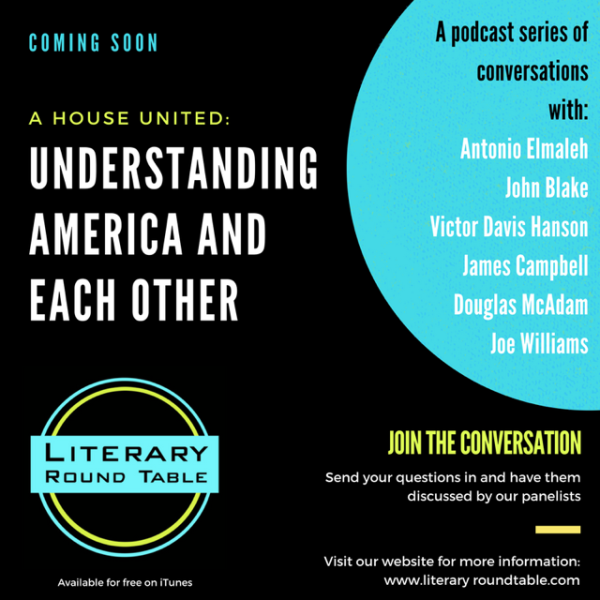 You can listen to the discussion at your convenience by going to one of several websites where we will post the archive of the show, or you can go to iTunes and download the latest literary round table, as well as past literary round tables. Then, let the discussion begin! We hope you will join us for the next Literary Round Table, the only place online where readers get to interact directly with their favorite authors!